'Tis better to give than to receive. 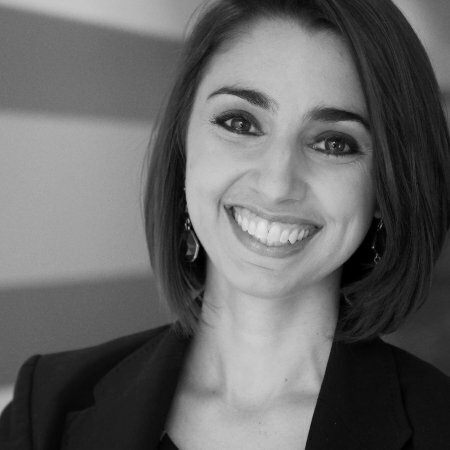 So this holiday season, we're doing a lot of giving — to you, the marketer. For the first 12 days of December, we invite you to join us on a content journey through swirling, twirling social updates, blog posts, and snack-able pieces of content that will leave you craving a tall glass of milk, much like old Saint Nick after that 14th chocolate chip cookie. The #HolidaysAreIn! 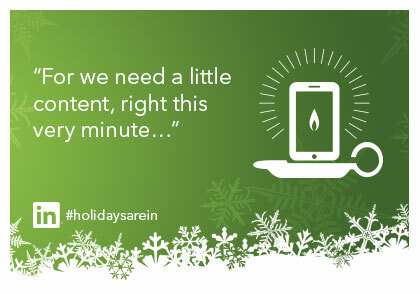 And we couldn't be more excited to help you share them with your holly, jolly network. 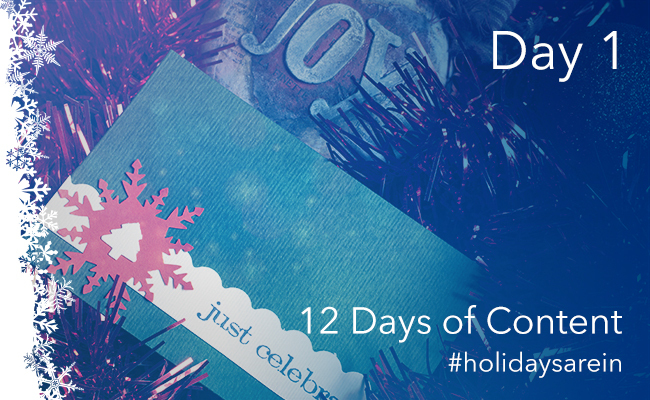 Check back here every day December 1st-12th, or subscribe to our blog to get our '12 Days of Content' plus more marketing inspiration delivered straight to your inbox. 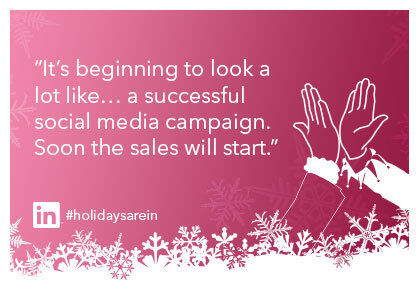 This time of year can be a busy one for marketers. 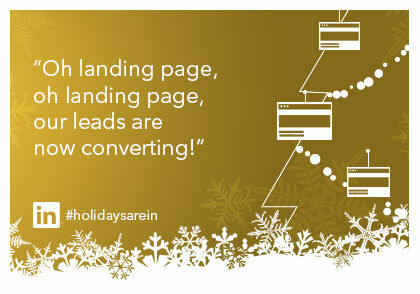 You're likely in the midst of planning for 2015, while also doubling down on end-of-year marketing pushes. Maybe you're launching a holiday campaign of your own, or perhaps you've already launched your big 'new news' and now it's time to make a splash with increased Q4 spend. Whatever your focus may be over these final few weeks of the year, there's no doubt you'll depend on a few people to help you over the finish line. So, why not celebrate the season with a light-hearted message to those individuals who you depend on to succeed? Maybe it's the social media strategist, whose clever posts could earn your team the blue ribbon for real-time marketing genius this holiday season. Or maybe it's your web marketing guru, whose latest optimization to your landing page has sales soaring -- and your CEO grinning from ear to ear. 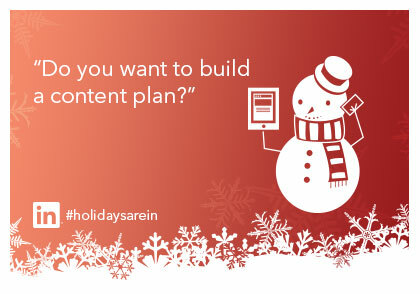 Or maybe, just maybe, it's your fearless content marketer -- the one who keeps your RSS stocking full of great content day in and day out and who delights at the thought of building a new content plan (even more than Anna delights in building a snowman with Elsa). 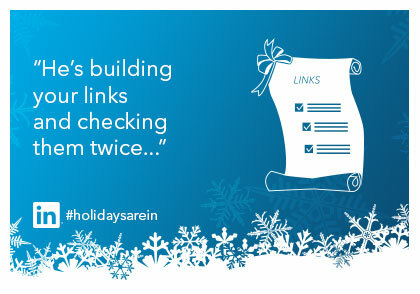 Make your list and check it twice; we bet there's more than a handful of folks you want to share a holiday message with this year. Step 1: Grab a card below by right clicking and selecting "Save Image As"
Share one, share two, share ten! 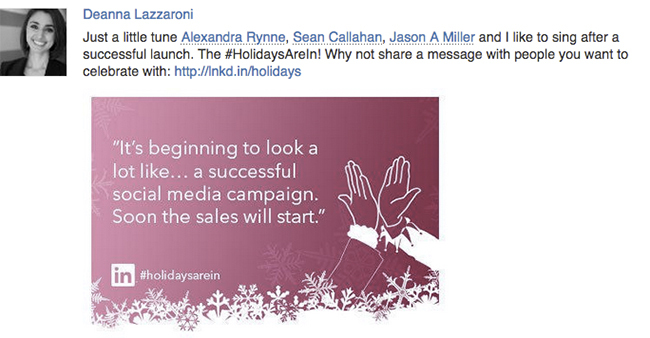 It's an easy way to spread some cheer to those in your LinkedIn network this holiday season. 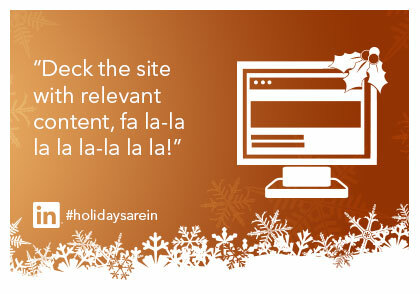 Want more holiday content? Celebrate the season with us December 1st - December 12th by subscribing to the LinkedIn Marketing blog, where every day brings a new gift of content for marketers. 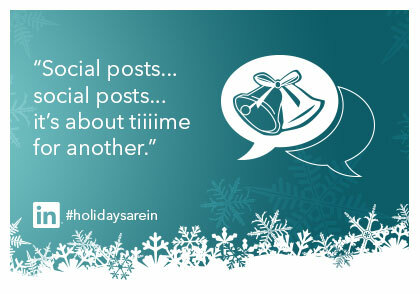 This post is the 1st in a blog series helping marketers to celebrate the fact that the #HolidaysAreIn with others in their LinkedIn network. 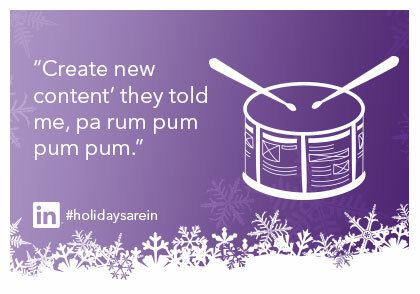 Check out more related posts in our ’12 Days of Content’ series below.